Modern brewers are capitalizing on the popularity of homemade ales, creating a classic but unique beverage in a variety of flavors. Some even offer take-away growlers to attract new and interested beer enthusiasts. Likely the most traditional beer across the globe, ales date back to medieval times and are still very much a part of the beer industry. Modern ales come in a variety of flavors and have an assortment of unique characteristics. 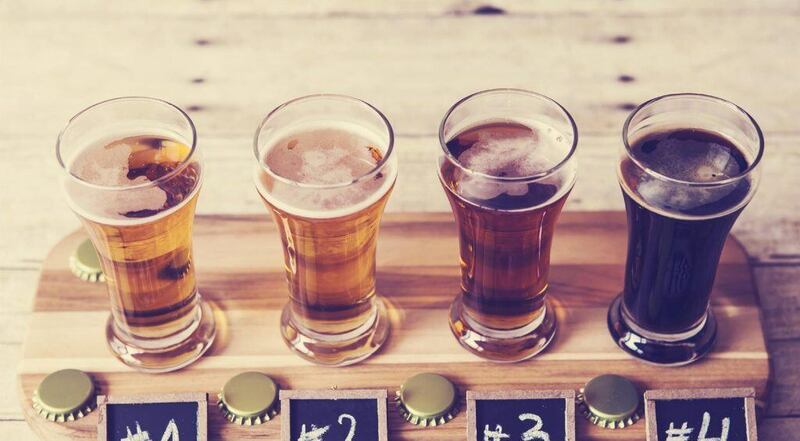 With so many to choose from, it’s good to know what makes up an ale and how to choose the right ale for your personal tastes. 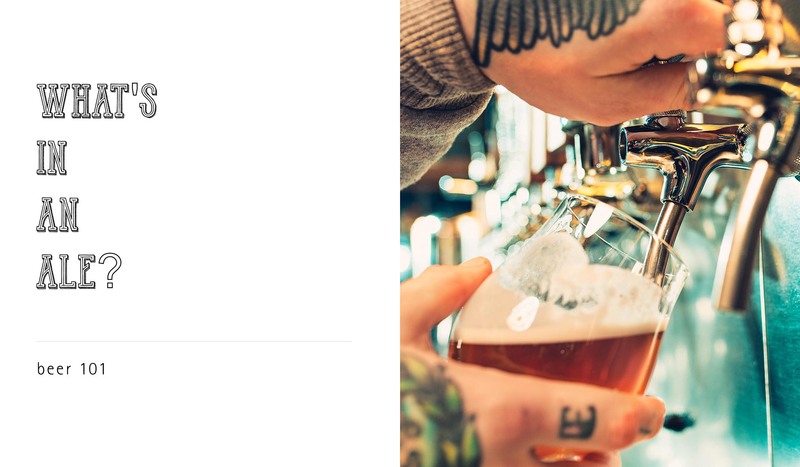 Primarily, there are two types of beer: ales and lagers. As the oldest produced beverage in the world, ales have come a long way. They often contain a fruity, sweeter flavor and a richer texture than lagers. Ales were an important source of nutrition in medieval times. People often ate bread and drank ale, which had just enough alcohol content to preserve the drink without causing major intoxication. Folks drank ale to stay hydrated and give their body necessary nutrients, as the beverage was often safer to drink than local water. Women were often the ale-makers of the family for dietary use or to earn extra money. It was only later that ale became used for recreational purposes. Similar to other beers, ales often use a bittering agent to preserve the beer’s quality and balance out the malt taste. While taste between lager and ales may differ, the biggest difference between the two beer types is actually the brewing process. Ale is brewed using a warm fermentation process. This allows yeast to gather on the top of the fermenting tank as the beer brews, creating more sweetness and flavor in the finished product. Brown ales have a brown or amber color and are available in a wide variety of flavors. Traditional English brown ale tastes sweet and has a full-bodied, yet mellow, flavor. Brown ales are often nutty or fruity. American ales are generally created in varieties defined by their bitterness and hop aroma. Mostly enjoyed in the early 1900s, brown ales became popular again in the early 1980s when homebrewers across America started brewing them again. Pale ale is brewed using a pale malt and offers an ideal balance between malt and hops. They are usually light in color and dry, mostly known for their bitter taste. Indian Pale ales are also known for bitter, hop-centric taste. Colors range from a golden yellow to a red-coppery color. The name is derived from England’s export of the beer to India, which became a favorite. In order to preserve the beer, brewers began adding more hops and created a new version of the traditional pale ale. Stout ales are dark in color and have an obvious roasted flavor. This comes from the roasted barley used in the brewing process. Stouts can be dry and contain a high alcohol content or have a hop-focused taste with a low alcohol content. Dark like stout, porter ales are a favorite among beer sippers. They offer a grainy flavor with a sweet taste and are usually milder than a stout ale. Some brewers kick it up a notch, adding flavors like chocolate or coffee. Barley wine is often stored for longer periods of time than other ales. For up to 24 months, barley wines sit in storage and develop a strongly sweet and fruity taste. Brewers add a lot of hops to create a bitter and peppery drink, or one that tastes uniquely floral or grassy. Other ales are designated by where they are made, such as Belgian ales and Scotch ales. These ale variations often have distinctive flavor notes and strengths that cater to the regional people. If you’re looking for growlers for your craft beer business, contact the packaging experts at BottleStore.com. Why Do States Have Laws Restricting Breweries From Filling Growlers?